Season 22 of Dancing With The Stars is upon us and I couldn't be more excited for the star-studded competition to return to my television. The cast for this particular season is nothing short of spectacular. I mean, Fuller House's Stephanie Tanner (Jodie Sweetin) is among the contestants. It's all too much, and I cant wait for it to officially begin. Fan favorite, Karina Smirnoff, is partnered up with none other than Dancing With The Stars contestant Doug Flutie, and the athlete should be absolutely amazing to watch on the dance floor. Smirnoff may just have her work cut out for her this season. Flutie is definitely known to sports fans far and wide. As a former NFL player, he has the background as an athlete to hopefully help him through the tough physical process of the show. Smirnoff must be counting her lucky stars to be dancing with someone who can tolerate stringent rehearsal schedules and can meet the physical demands that this competition really requires of its contestants. She and Flutie will definitely be giving people a run for their money this season. For those of you who aren't familiar with the pro athlete, here's what you need to know before he hits the floor on Monday night. He was actually a quarterback for multiple NFL teams, according to his player bio. His career has seen him play on the Chicago Bears, Buffalo Bills, New England Patriots, and the San Diego Chargers. 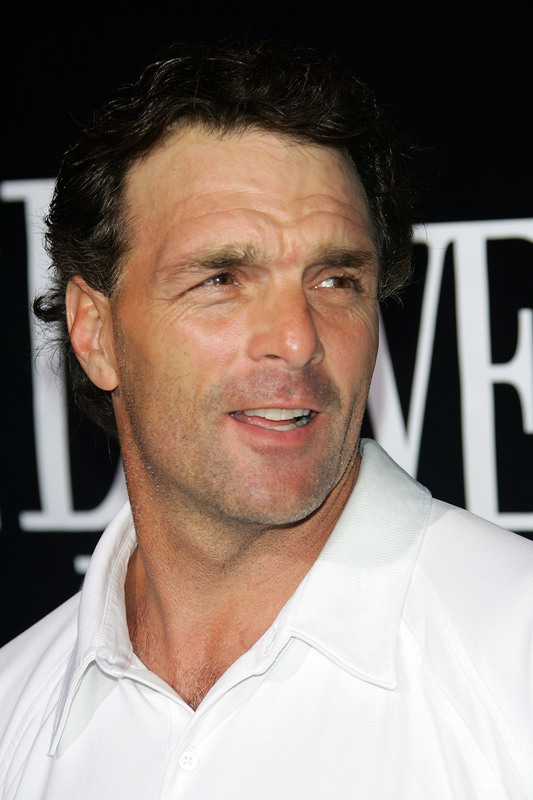 The Globe and Mail reports that Flutie and his wife, Laurie, met in high school and are now married with two children. They have a son named Doug Jr. and a daughter, Alexa. Flutie's daughter has followed his career closely as a former New England Patriots cheerleader and a current San Diego Chargers cheerleader. This is clearly a true blue football family. Flutie's son has autism and he established the Doug Flutie Jr. Foundation for autism research in his honor. Tune in on March 21 to see if Smirnoff and Flutie can crush their completion on Season 22 of Dancing With The Stars.